Perhaps the worst part of organising a gap year abroad is dealing with the legal issues. For many holidays, visas are simply needed to enter a country, if they are needed at all. But for gap years that involve extensive travel, enrolment for education, voluntary placements or paid work, many different types of visas come into play. While this brief introduction to gap year visas will help steer you in the right direction, it is by no means a definitive reference. Always check with the embassies of the countries which you will be visiting for more information on their visa requirements. 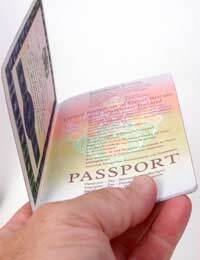 Entry visas are issued to travellers entering a country for personal visits. These may also be called "tourist visas" or "temporary resident visas" and are often issued upon entry to the nation. Many of these visas last for 90 days, but always check with the Immigration Officer issuing you the visa if you are uncertain. For British citizens, these visas are issued upon arrival in the United States and Canada, and no visas are necessary for travel to European Union nations. Gap year travellers formally enrolled in a course of study, generally at an accredited college or university, or even at an accredited language school, will need to investigate student visas. These visas acknowledge the holder's right to study in the host country, and may even entitle the bearer to work part time. Student visas may be issued for the duration of the course or programme, or for certain monthly or yearly intervals. For British citizens, these visas are required in the United States and Canada. Also known as a "gap year work visa," a working holiday visa allows the bearer to work and travel in a country for a specified amount of time. Generally working holiday visas are issued for at least one year, often two, and are the perfect way to combine a part time job with your travels. Working holiday visas are required for British citizens interested in short-term work in Australia, New Zealand and Canada. Working visas, sometimes called "work permits" are required for British citizens interested in working in the United States. British citizens may work in European Union nations without a formalised working visa. Gap year travellers wishing to work as an au pair need to investigate au pair visas in their host countries. Most of these visas require the bearer to be unmarried and without dependents, and to have a host family willing to vouch for them. Au pair visas may be granted for any length of time, although two years is usually the maximum. Many countries, including the United States, Canada, Australia and New Zealand require voluntary workers to hold visas even though they will not be receiving payment for their work. Generally these visas require the voluntary worker to prove their association to a particular voluntary programme or charity, and many may require a letter of recommendation or reference from a member of the host organisation. For more information on the visas you will require during your gap year, contact either your gap year agency, travel agent or the embassy or high commission of your host country. The Foreign and Commonwealth Office keeps a list of Foreign Embassies in the UK which will assist you in this task. Good luck! I have 9 years study gap. Can i apply for uk student visa?